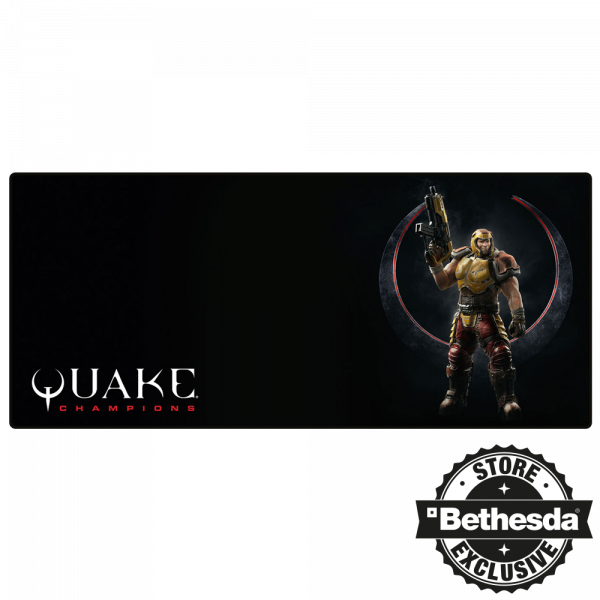 Boost your game to quad damage with this "Quake Champions" mousepad exclusive to the Bethesda EU Store. The mousepad features Ranger and measures 80x35cm, offering plenty of space for your mouse and keyboard. The finely textured, smooth surface gives your mouse ultimate gliding capabilities, the rubberized back doesn't slip, no matter how much gibs there are. Manufactured by Gaya Entertainment.